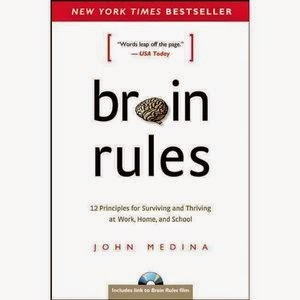 The TLT Group hosted a book discussion focusing on Dr. John Medina's book "Brain Rules." Steve Gilbert, Penny Kuckkahn and I developed the following activity in our attempt to help people connect to the book and model one of the Brain Rules, in this case #12, Exploration. 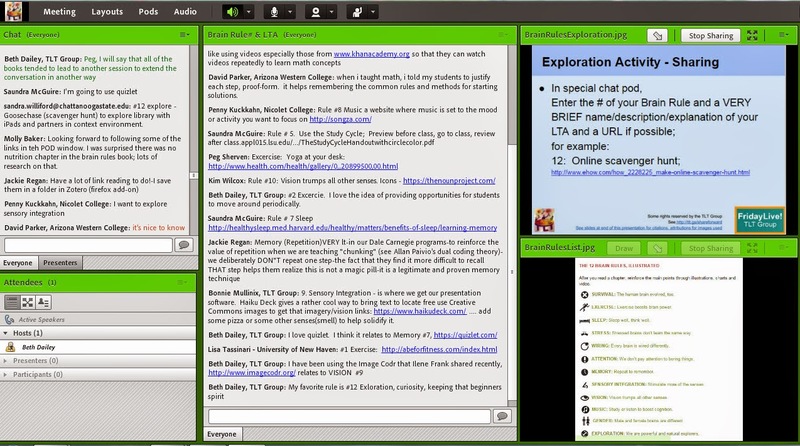 The activity took place in Adobe Connect. 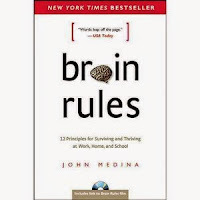 We asked participants to chose one Brain Rule and then take 5 minutes to explore Dr Medina's website or any other resource. 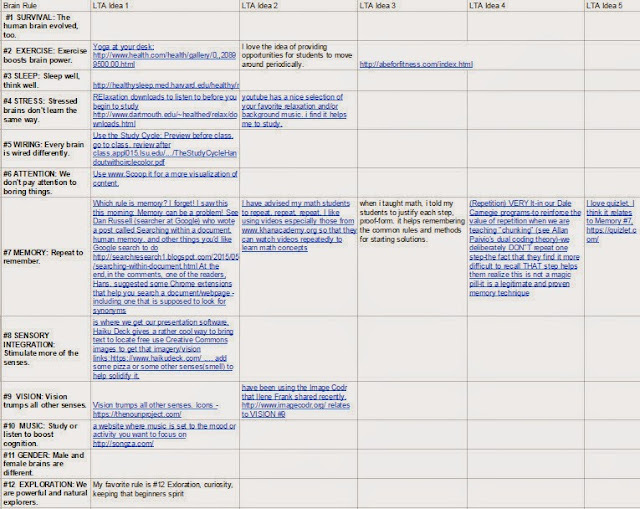 After reviewing material on the Brain Rule, identify one app or activity that connects with the Brain Rule in some way. We set up a new chat pod in a new layout for participants to post their contribution. Below is a picture of the AC layout used. After the activity we asked for feedback. In general participants liked the activity and the array of resources that were shared. They suggested we use music during the 5 minute exploration and no conversation. They liked the minute reminders we put in the chat. All in all it was a great success. This link will take you to a summary of the resources shared during the activity. This was a small group of 16 participants. The image below illustrates the ideas offered by Brain Rule. It is interesting to see the focus on Memory and Exercise. Stress and Vision had the next highest votes. Friv 1000 Update new-best free games online from internet. Here you can find game: Action game, Racing game, Girls game, Shooting games, Puzzle game ..and more.